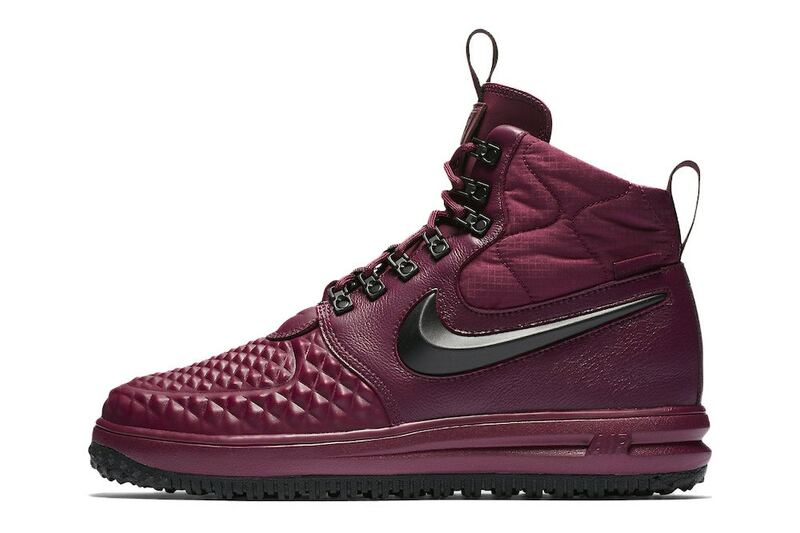 Nike recently revealed their Lunar Force 1 Duckboot in black and olive and now they’ve just teased another one in a new burgundy-hued color. This new sneak has a textured toe box and Lunar foam midsole plus offers protection and comfort. What you think?